Tag Archives: Gemini and mutable signs. As the groundhog predicted it will be an early spring, then why does it seem like the winter has just began? Yet think, in one month and one day from February 19, 2019, the beautiful spring equinox will usher another seasonal change. The cool Hunger Red Super moon will blast our skies, waking us all up for a few days, just to put us back to sleep again. This will be one of the largest super moons in 2019, and the brightness of its beauty will grace us at approximately, 10:53am EST and 7:53 am PST time. 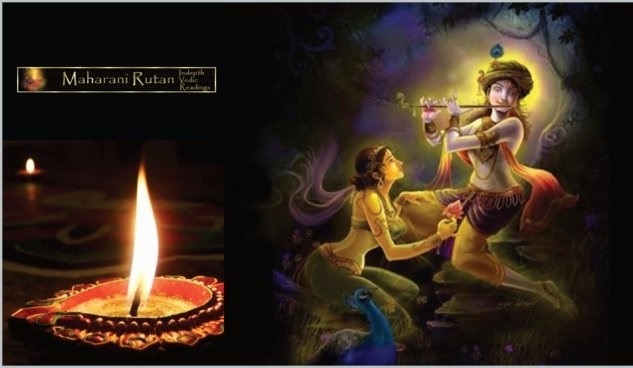 VPAT (Vedic Philosophical Ayurvedic Theories) have always claimed that a full moon brings luck and prosperity, and it always marks an auspicious time for religious ceremonies. Nevertheless, this is a time to plant karmic seeds for all those that have a placement of Cancer and Capricorn in their chart. This will be the last full moon, or rather, most auspicious time for forgiveness. Rahu and Ketu are both planets of past and present karma, therefore, anything that may have happened, good or bad, was, and is, karmically driven. Depending upon the placement, this is where there were unexpected and unforeseen issues which triggered something to bring forth what must change. Recall all the issues from July of 2000 through March 2002. What did you take with you? How did you apply it for the past two years, Dear Cancer and Capricorn? One cannot, however, put these two signs in a single box as it was a collective change. Thus, it’s time to think back at everything. The experiences of Rahu/Ketu can be detrimental to the longevity and outlook of everyone’s life. Perhaps these experiences can be shared with your fellow Gemini and Sagittarius as they too now pay the consequences of their actions. Whatever you can remember, you can be sure similar situations are bound to occur, and with them, you must apply what you have learned so your actions appease the cosmos, not the other way around. For Gemini and Sagittarius, rewind to November 2009 through June 2011; the situations may be so similar that it will be eerie. Often, history must repeat itself to make sure that we don’t keep repeating the same mistakes over and over. This moon is predictive to the situations which are same as they were at the exact time in 2000. Something powerful may have been happening behind the scenes for some earth signs. Possibly it was unrealistic, or uncertain, then the answers could have come very clearly to you around the 7th-9th of February. This may have a lot to do with your work, money, career, family, as well as what your future may hold. Perhaps this full moon will also be transmuting where it is a chance to nurture, change and advance. To assist in getting rid of access negative energy as well as baggage we all hold on to. The pull of the energy you experience could be good or bad, but if you take a modest and spiritual path all will work out in your favor. Nevertheless, as we move through the icy winter, the cold weather suits its name correctly this time as the northern hemisphere of this moon is named as the Snow moon; however, I don’t feel that it will suit the southern hemisphere as much for it is known as the Grain moon. Often, it has been theorized that the full moon energy can be felt as early as 7 days before and 7 days after. The slushy, wet, and cold winter hit us hard, causing wipe outs and near misses on the road on February 12, 2019. The full moon, no matter how boundless or small, is very favorable to the Hindu culture as it is also known as Poonam. Full moon is Pournami which is usually considered very peaceable and heavenly. In the Gita (Old Scriptures) it is said that God’s full moons are created for spiritual development. The lunar rays and solar rays aid our souls and implement these important rituals. Additionally, those who help create or write the Vedas (scriptures from God) to be read by humans were all born on a full moon, therefore, they should be worshiped as such. This full moon in Leo/Virgo may be considered very heavy. It brings up lessons that we should have learned in the past and how we continue to repeat the errors that cause us, and our family, harm. Think of the texture of the Earth after there has been a fire. However, if you are a mutable sign, especially Virgo or an Earth sign, it may be worthwhile for you to take that spiritual journey. It won’t hurt as you, and those with Virgo in their charts, will be affected by this full moon. Leo’s will also be going through something significant. Therefore, by proxy all mutable signs (Virgo, Pisces, Gemini, and Sagittarius) as well as Fire Signs (Leo, Aries or Sagittarius) will find something auspicious to experience or something that is being closed for something new to begin. Consider the next 6 months as a test, dear Virgo’s and Leo’s. It is about what changes you have made since the new moon last year in August/September and how the eclipses affected you last year and this year; this is the question that is the most important in your life. The Full Moon carries a time of brilliance and nascence. It is a period of personal accomplishment, but also a time to study for the deeper meaning in what you’ve created. How can you integrate your dream into the world for the greater good of all? The Full Moon impulses you to distinguish and honor the significance of the “other” – other people, other ideas, and other values. Due to Leo/Virgo energy, relationships are of great importance at this time, and you feel a need to share, to merge, and to partner, whether lovingly or through other channels. You are called upon now to work toward attaining stability – balance of your inner nature and outer personality, balance of your need to take with your ability to give; the balance of your ultimate ideals with what is possible in the world. Detach yourself of all external roles, worries, and insignificant quests, and dive into the ocean of light, soaking in all life. Inhale in light; exhale out light. Feel the cells of your body become incandescent and luminous with the powerful glow of God. Allow the substantial problems of the past months to drop away. The Moon in Virgo carries a time of realism, scrutiny, and competence. People may feel more diligent and detail-oriented. As a result, this is a good time to complete plans, mainly smaller scale projects that need organization and attention to detail. Due to Virgo’s association with health, food and fitness may be a concern during this time. Also, people may be wary as they are absorbed in thought and academic pursuits. Because serious thinking is highlighted, caution needs to be taken to evade being too serious or condemnatory. Every month emphasizes a certain Astrological sign, thus I will bring to you general propensities which could assist making the transition from full moon to new moon as smooth as possible so that each step is spiritual. Saturn: April 2019-Sept 2019. Saturn is in Sagittarius, this means it won’t be rosy, nor will it be dull. There is a good possibility you may have a career relocation and finally get into the profession of your dreams. However, you will have some opposition from rivals. The opposition is nothing you cannot handle and as your year progresses, your social circle will give you all the appreciation you desire. On the other hand, things that may have happened in the past may cause you to feel distressed resulting in feeling lonely with a lack of support from family members. A huge prospect of work and career is possible. Ketu – Since Ketu is changing signs as of March, you will now analyze your reactions to things, which may cause you to feel very empty in some areas of married life. Don’t doubt loved ones. Think before you invest. You may lack focus. Ketu: March 30, 2019-. You need to be on the lookout for illnesses to your close relatives. You may work harder with more on your plate than you know what to do with. Because of exhausting overworked issues, you may miss important family dates and celebrations. You may be over stressed and may feel discontent. This could cause your expenses to be more than what you are bringing home. Rahu – there is a change of sign in March, therefore this prediction reflects everything until March 30, 2019. You will overcome challenges through vigor and focused professionalism. Your financial situation looks good. However, you may have health issues, which you will overcome, and any legal issues will go in your favor. Rahu: March 30, 2019-. You will have financial increases and will be able to bring in more resources from other avenues. However, due to work demands you may not be able to spend quality time with your loved ones. Do not take short cuts when it comes to your finances as they will result in more difficulties than anything else. Uranus: Aug 2019. You will now go back to the actions of your past and realize you were tougher on yourself than you needed to be. You will recognize how you were able to overcome things in your life and it’s time to stand up for yourself. It is time to take out the journal and write down new ideas. Jupiter – There will also be a change of signs at the end of March. Now is the time to adapt and alter the way you communicate your ideas and thoughts to people; you will soon realize that they are listening. You could also get rid of old material things and replace them with the latest and greatest. You will soon get distinction in society. Your thoughts are provoking, and brilliance comes from out of the blue. Jupiter: March 30, 2019-. You may undergo stress which means you must take good care of your health and not let go of your health regime. A balanced diet and daily exercise will help you in moving forward with freshness and vibrancy. Mars: March 30, 2019- Be careful of your health and avoid minor quarrels with your partner. You may feel that you are not getting the support you need in your career or profession. Your temper may rise and most of all, you may be accident prone where you are no looking both ways before crossing. This is a blissful year for you if you can recognize that you cannot be perfect at everything and you have higher expectations on yourself than others do. Move forward and be optimistic. Be careful, however, around August that you don’t invest incorrectly. Do not neglect family and take care of the ones you love. Try to not bring work home and control a conflicting situation. Be careful of neighbors; don’t raise your voice and you will get further by maintaining a distance. Virgo is ruled by Mercury, as is Gemini. While the Moon is in Virgo it also a virtuous time for educational pursuits, but not it is better for those challenging serious details rather than unique creativity. This is a good time for taking care of any matter that requires scrupulous attention. People may become shy and retrieving with Moon passing through Virgo and will tend to be sensible, fussy, and even excessively serious at times. Also starting on the full moon, Mercury will begin to motion backwards, and the most critical time will during mid-March. At that time there could be communication issues and things could break down, so be patient. You may also choose to recite a mantra every morning until the next moon cycle. Remember that with all applications of psalms and mantras achieving the desired result is dependent upon the quality of intention. It is of the utmost importance to begin with a clear understanding of what your goal should be. The mantras can be hard to pronounce for many but are a powerful source of energy. This year there are two mantras, one for those who are just now getting into learning about Sanskrit mantras and those who are fluent. This mantra invokes energy for making any plans fruitful and successful. The intention of this mantra is to keep us in balance and from becoming irritable through obscurity and blurred energy. Please be cautious to understand that some of this energy can be felt as early as 5 days before the full moon. There can be breakups, confusion, and people can act just plain weird. May this moon bring you joy, love, and tenderness. Always remember for every ending there is a new beginning. Please note that I am not an astrologer, I am a Vedic reader. These are Vedic inferences of astrological tendencies. They are not to be exact to an individual sign but characteristics of environmental changes and predispositions. These elements are used as ground rules for Vedic readings. If you are looking for a personalized Western Astrological reading you may contact my recommended Astrologer here or choose the ones that you are comfortable with here. The major eclipses and eastern holidays are now in the past. It’s not only the full moon, but it is also Thanksgiving in the United States. This could only mean that in 30 days many of us will be busy preparing for Christmas and the new year ahead. But there is still more work to do and things which will change (read more here). So much has happened, and I am sure you felt the intensity of Mercury on the 16th and 17th. Even though it has begun to move direct, the tension is still here (Read more about it here). But at the same time, Venus, which has been in Libra according to VPAT (Vedic Philosophical Ayurvedic Theories), has been retrograde since October 3rd, meaning that if a relationship between two people did not have a solid foundation, conflicts and chaos may have resulted. Additionally, due to the mathematical and planetary theories, some VPAT scholars would consider this full moon as a Taurus full moon. With the involvement of Jupiter, Mercury, Sun and Mars the dynamism of this moon will be an eye opener for many as stubbornness and fickle minded approach can bring endings but it is not just about endings its about wake ups. Hence for all that is bad, good has to come and it will give us an opportunity to look at the work that needs to be done while questioning who will do the work. Certainly, both Venus and Mercury will have, and will continue to bring, secrets to the surface. This is another reason why the placement of this glorious moon is present. The luminous moon will be at its finest glory in Taurus/Gemini/Sagittarius synchronicity on Thanksgiving Day (November 22, 2018), at 4:01am EST and 1:01 PST. Not only will it affect Gemini’s, but also all those born between November 19 and 25 will certainly be exposed to the energy. Add to that anyone that has Gemini any where in their VPAT those areas of their lives will be effected. Do not be surprised if something ends in your life. In addition, those that have mutable signs anywhere in their chart (Gemini, Pisces, Sagittarius, and Virgo) will also be affected; the tension depends upon how much Taurus, Gemini and Sagittarius is magnified in the birth chart. At 1 degree it will be impacting early born Sagittarius and I am most certain this degree has not appeared in the 21st century and unfortunately, it won’t be this degree again until 2022. Perhaps this can be good, or it can be bad. The main premise is that we have learned from the past. However, one cannot deny the parallel to things that occurred in the 2000-2003 replication. The fact of the matter is that we did not learn, thus events are somewhat repeating themselves years forward. In the recent past, the period closest to this energy would have been in November 2015. Just around thanksgiving 2015, the world was shocked and grieving because of the shootings in Paris. Bombs during soccer games, earthquakes in Japan, and Mexico left over 300,000 displaced. If that was not enough, Hurricane Patricia was a Category 5 hurricane which made landfall in Mexico and made rescue even worse. Church, police, and media shootings continue to question if what we see and hear is real. Just because the moon is full does not mean everything will be back to normal, rather, there are some planetary clashes that could cause a ruckus. Some of us have been in a daze for quite some time as Neptune (which causes blurriness of life) has been in Pisces and will go direct. That dreamy man/woman may not be so dreamy after all. 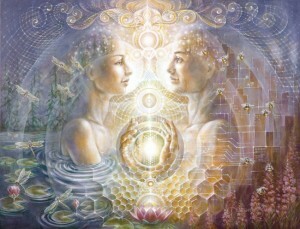 Perhaps the love affairs will go wild as Venus will enter Scorpio. Get ready for more secrets. However, full moon has been notorious to cause some weather issues such as snow, rain, sleet, and water surges. If you give yourself extra time and watch the weather prior to your travel, remember that Mercury has not sung yet so as long as you remember to take it easy you should be fine. Secret of mysteries, the Moon calls the dreaming soul to awaken and roam in lands outside the lucid, the practical, and the planetary daylight self. It is time to float in the dreamtime, observing your awareness, and chase answers in ancient memories lying deep within your insensible mind. Let go of your hold on the monotonous now; don’t try to have it all make sense. Keep a dream journal and open to moon murmurs. 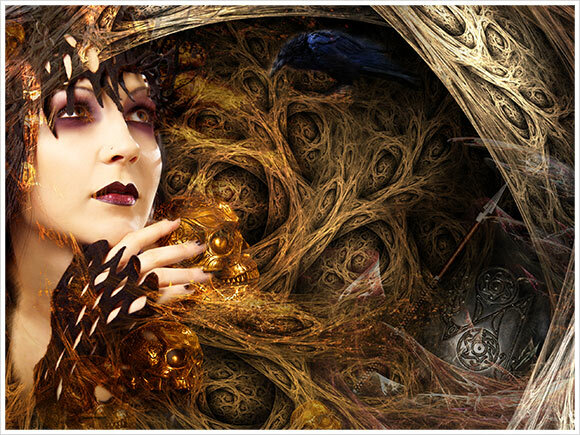 Work with insight, dashing, and other forms of magic that let the mind drift free. It is time to be outrageous and worship the ever-changing beauty of the night. 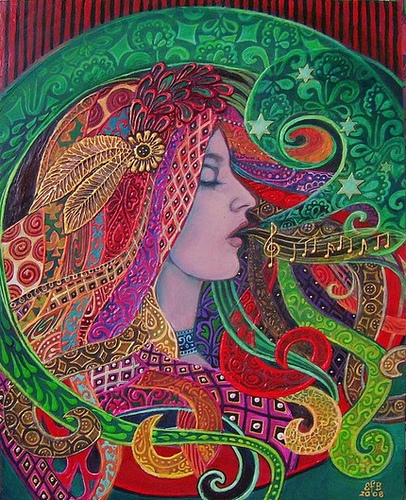 While the moon is in the dualistic sign Gemini, folks may be fickle, switching plans often. With the Gemini ease of seeing equality of everything, we feel more supple, changeable, and chatty. It is a good time to write, take care of errands that look like scientific puzzles, make speeches, or just let thoughts fly through the clouds. Academic quests and mind games may become more motivated to explain emotions. You may find that November is one of the best professional growth periods. Due to your hard work you may even see your financial situation getting better. If new projects or ideas come your way be sure not to pass them up. It is vital that your focus is on your health issues and don’t ignore the slightest bumps. Do what you can not to get yourself involved in any legal issues as they may be more expensive than your cause. You may find your partner (person of interest) to be a bit egotistical. But don’t fret, this too shall pass. However, if you make decisions without thinking, you may find that your relationship has a different meaning and purpose. This is all because you may have not nurtured it. Additionally, risky financial business transactions should be avoided. The more charitable contributions you give to society, the more honors and respects you will receive. Be careful, if there is no room to conceive it may be advisable to be more vigilant. Please note these are universal predispositions and not fixed on one specific chart or forecast. In addition, I am not a pundit nor an astrologer. If you seek a pundit please contact me and I can give you a referral, and if your passion is geared towards western astrology, you may seek my recommended astrologers here. Feelings could fluctuate, however, the capacity to see numerous characteristics of a circumstance will be a plus and being able to adjust to others even better. Otherwise, you may appear inconsistent or two-sided, but it is really the sign of an open mind. Responsive communication will be nurtured. Unlike other moon energies, Guru/Ketu will bless the appreciation of finer things in life. Perhaps you should consider changing your decor or purchase unusual media. Usually, full moon brings endings to relationships; this is not because of energies or forced inferences, rather, it is the universe’s way of assisting you to let things go. This is especially true for things that do not fit our lifestyle. There is dynamic emergent where old feelings will now come out and crossroads of relationships, self-goals, or career paths could cause strains on a relationship, or it could naturally break up. 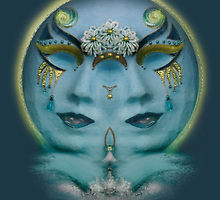 The Gemini moon stimulates inquisitiveness. Inspiring ideas often seem like doors opening to reveal other doors. Now is the time to make connections, perhaps via e-mail or telephone. Explore your garden, learn from it, but don’t plant. The Moon in Gemini also brings a time of messages and unpredictability. People may feel very relaxed and inquisitive. This is a time to pursue scholarly interests and to take care of communications, both verbal and written. Like the twins that represent Gemini, people may be able to see both sides of a problem, but they may also be wavering and restless, unable to make up their minds. Attentiveness is needed to circumvent saying something in rush that will be regretted later. It is my recommendation to bring out old aspiration papers again and cross off the ones you have already have changed and make new ones. Also, I advise you to purchase a yellow candle; carve your name on it and anoint it with sandalwood or frankincense oil and chant the following chant: “I ask to find the internal light of my inspiration. I wish for the universe to assist me to accomplish the gratitude that I desire. I pray that I may find the strength to take chances with my ingenuity.” Recite this chant along with Psalm 7 every night until the next full moon phase which will end on Dec 22, 2018. 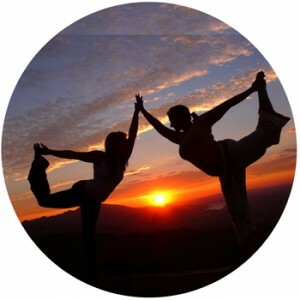 The moon in Gemini represents Friendly, Enjoyable, Mindful, Articulate, and Flighty. The Airy Gemini Moon gives our heart wings of delight, friendly conversations, neighborly calls, community awareness, and a bit of change-your-mindedness. You may also choose to perform a mantra every morning until the next moon cycle. Remember that with all submissions of psalms and mantras, realizing the anticipated outcome is contingent upon the value of purpose. Begin with some pure thoughts of what your goal should be. The mantras can be tough to pronounce but are an influential foundation of energy. This year I have chosen four mantras for those who want to expand their vocabulary for the recitation of Sanskrit mantras. The purpose of these mantras is to call upon the universal protection and to bring synchronization internally and externally to include peace without doubts. Please be extra cautious as Mercury is still retrograding until December 24. No matter what others say, even if it is in a different sign it is important for you to understand that you are ruled by it and therefore anything and everything could go wrong. From November 24 through the 30th I will be highlighting Gemini’s. As a result, they will receive extra discounts, on top of my regular price, find out more here. Enjoy your Thanksgiving and may you be blessed with peace and love. On November 28, 2012 at 9:33am EST, 6:33 am PT we will have a Penumbral Lunar Eclipse as well as the full moon in Gemini at 6 degrees depending upon the orb. The moon will grace at the same time. This eclipse is the 5th eclipse in series that began December 21, 2010 (read about it here), June 1, 2011 (read about it here), and December 10, 2011 (read about it here) and May 20, 2012 (read about it here). This is second series of the Total Lunar Eclipse in Gemini. Though the degrees vary by 7 to 16 degrees in exact position, the effects will be very similar to the one felt on June 1, 2011. The visibility will be mostly in western Canada and limited in the United States. However, to see this eclipse in full it is best to see it in Alaska, Australia or East Asia and it will last for approximately 1.5 hours. The skies will capture this moon and it is known as the pure White moon; this is because the sky is pure black and the illumination brightens the sky. This Lunar Eclipse and Full moon will impact people with mutable signs (Gemini, Sagittarius, Pisces and Virgos), whom will have incomprehensibility in sorting out their view of themselves and to the sentiments they feel. Failing to distinguish that something or someone is not what it or they appear and it is not as passionately connected as they had anticipated. During the eclipse the sun and the moon will have a vital role in areas of communication that is being brought by this eclipse. It is time to use the signs from the universe to redo something that is ended and start to build something new. Often times it means planning until there is total exhaustion and finally making a rational decision. Many people will transform their plans of the future by taking the time to look at all the things that have not met their desires to bring about new goals. Especially to look at what has held them back for so long from having their sublime bliss. Since the eclipse falls in ruler of Sagittarius/Gemini we are seeking the truth through reflection. However, Mercury is still retrograde and therefore you need to know what you what you are saying and be kind always. Read more about it here. This eclipse brings astonishing scenarios to the surface such as how we are to others, how we act toward others, and if our actions are in the best interests of all. The eclipse energy brings Jupiter to focus where we bring spirituality into our lives and really clean up our act. With Sagittarius also in the mix we are looking for the truth and seeking dependability. Eclipses always come in pairs – keeping in mind for everything that ends, there is always a new beginning. 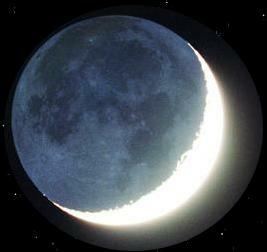 This is the last Gemini eclipse of 2012 and there will not be another. However, Sagittarius has one more eclipse in May 2013 , and the duo is finished which brings together the Scorpio/ Taurus eclipses beginning November 13, 2012 and continuing for the next year and a half (read about the beginning eclipse here). Mutable signs (Gemini, Sagittarius, Pisces and Virgos) or those who have mutable signs in their charts will be gripped to do things that hinder with their emotional gratification or chasing after their desires while wasting their talents and skills trying to balance a war between their hunger and their desire. 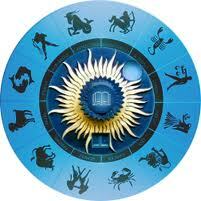 According to Vedic astrology, during this eclipse Rahu (Confusion) and Ketu (Anger) are triggered to aspect the sun. Therefore, many unexpected and sad events are possible all around the world. Gemini’s are also the rulers of reservations and thus causing situations to be a bit out of control. However, Rahu’s placement (Jupiter) will make things a slight bit tolerable. This eclipse is geared toward education, learning, communication and seeking the authenticity. The path that was unseen was not discovered until May 2012 eclipse. The eclipses were all about starting something groundbreaking when the old was getting dull. It was also about discovering the depths of relationships which were psychologically, physically and spiritually exhausting while serving others and finding a center. Whatever I grasped during the eclipses, I was always led to leave things that were never useful and spiritual. If it meant I left friends and relationships to have a higher calling then that is what the eclipses did. 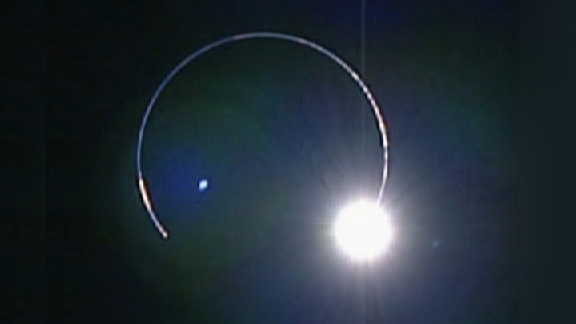 Read about the May 2012 eclipse here . Look back and see how profession, money and relationships transformed you? What choices did you make? Did you learn from them or are you at the same place doing the same thing that you were doing during 2001 to now? Are you going to school? Are you teaching someone? Or are you being taught? These are all questions being asked of you. This eclipse falls in areas of communications; whether it is news about your next door neighbor, your ex or global events it will most insubordinate get your interest. Everyone will be conversing and it may even feel like you have information overload. Sagittarius also rules learning, teaching and travel. But it could also mean publishing and writing and it is about upgrading already learned skills. However, it can be quite negative for people who are born within 5 days before or after November 28, 2012. Issues may be brought to the surface but don’t forget that we will all be affected one way or another since it’s hard not to have at least one mutable sign in your chart. At the same order the eclipse urges you to expand your work or go on a vacation. Having this during retrograde, however, may impose some problems. When a lunar eclipse occurs, the earth is passing between the Sun and the Moon, creating a Full Moon as we experience every month – but in this case, the alignment is perfect – the auscultation of the Moon complete. The intensity of the Full Moon is great, yet she is totally covered for about an hour by the earth’s shadow. You might even see violet, orange or a possible blue moon. The Sun and Moon are occupying opposite Astrological signs, therefore emphasizing the particular polarity inherent in those signs. During the period of auscultation, the Moon’s supportive light is temporary and we may experience a crisis of need where the particular sort of lack depends universally upon the astrological sign in which the eclipse occurs, and personally upon the natal astrological house (realm of influence), as well as the major aspects made to natal planets. This eclipse is principally relationship oriented – and our relations with others can be disconnected, defied, or suddenly repaired together as the shock calls one to action. This eclipse centers on the home and family. We may be deeply concerned about our feelings and needs within the context of the house, sign and planetary aspects affected. To fully appreciate the potential in the lunar eclipse, we must explore both houses and signs that are brought into play. Where the Moon (Gemini-communication and fickle-mindedness) is – we can confront our demons, old habits and fears, and where the Sun (Sagittarius-truth and learning) is we may find the means to embrace a release from whatever oppression we experience in life through our creative efforts. In any event, there are opportunities for deeper understanding, and finding a balance in our lives. While the moon is in the dualistic sign Gemini, people may never make up their minds. With the Gemini ease of seeing both sides of everything we feel more flexible, unpredictable and articulate. It is a good time to write, take care of tasks that resemble mathematical puzzles, make speeches, or just let ideas fly through the clouds. Academic pursuits and mind games may become more inclined to rationalize emotions. An extemporaneous language may hastily express things that are only true for the moment. There is a need to determinedly express your feelings. People are hasty to arrive at a rational solution for any emotional problem – and will jump right in to provide a helpful opinion. The feelings may switch on and off. There are diverse aspects of a situation, therefore, bend and adjust to others. This could make people appear inconsistent or two-sided, but it is really the sign of an open mind. The need is to nurture others by staying in friendly communication. There is also a need to relate to your mother as a friend and keep in regular contact. The Gemini moon stimulates your imagination. Stimulating ideas appear continually, like doors opening up to reveal other doors. Now is the time to make contacts, perhaps via e-mail or telephone. Explore your garden, learn from it, but don’t plant. The Moon in Gemini also brings time of communication and elasticity. People may feel very loquacious and inquisitive. Caution needs to be taken to avoid saying something in haste that will be regretted later. Allow the heavy encumbrances of the past months to drop away. You should swim like a light being and an angel in the heavens, in the harmonious seas of bliss and peace. I strongly suggest taking your aspirations that you have made last month and cross them out one by one. Remember never beg for your aspirations. It is my suggestion to bring out those aspiration papers again and cross off the ones you have already have changed and make new ones. Also I suggest to purchase a Yellow candle – carve your name on it and anoint it with sandalwood or frankincense oil and chant the following chant: “”I ask to find the inner light of my creativity” I wish for the universe to help me achieve the recognition that I desire.” “I pray that I may find the strength to take chances with my creativity.” Along with Psalm 7 every night until the next new moon-phase this will be December 13, 2012. 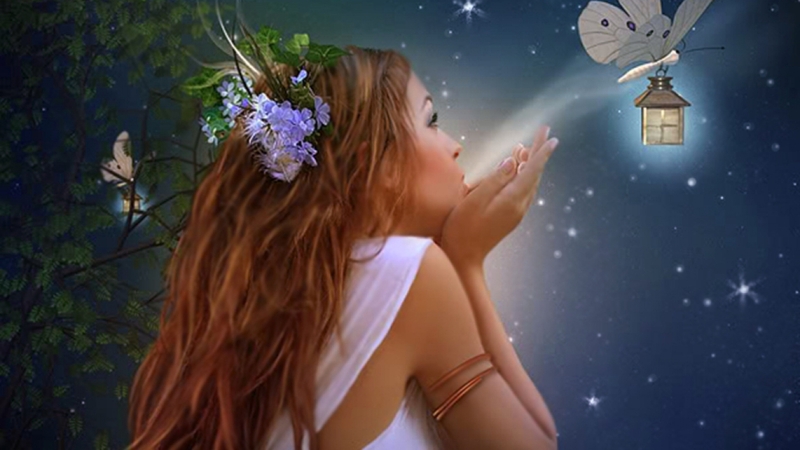 The moon in Gemini tends to be Friendly, Witty, Aware, Rational, and Flighty. The Airy Gemini Moon gives our heart wings of delight… friendly chats, neighborly visits, community interest and a bit of change-your-mindedness…. This Siddha mantra uses the universal elements that govern each charka: Earth, Water, Fire and Air. Please note these are general predispositions, and highly recommend that you make an appointment with Leslie Hale to find out how this eclipse will affect you. Most of the time Astrology is a guide to what is coming in the future and Astrologers are able to give you a glimpse of what you can expect. At the same time Vedic readings are also quite important because it uses the aspects of the sun, moon, karma, dharma, destiny and spiritual inclinations to translate what is about to come so that you can modify your life to have the most benefits from the eclipse. I will be offering 6 month personal in-depth readings starting the 28th. These will be encompassing areas of life that may not be touched upon by an Astrologer. Together you can amplify the best of both worlds and create an intended path of your choice. Additionally, please note that I am not an Astrologer, nor claim to be one, and the conditions of this information are completely general so that you can get a basic notion of what you can expect. Vedic reading encompasses a basic notion of how we live in the physical world and how we can change our destiny to be written in pencil – never a pen. Vedic reading also embraces the concept that for every action there is a reaction. Until we know what action are going to be touching our lives we have no idea how react to them when it happens. Vedic readings predetermines the actions so that your actions or reaction can be reactive sustainable rather than over-reactive and unmanageable. Wishing a safe journey through the passages of lunar eclipse. Have a blessed a wonderful holiday season. Always remember that holidays are not about what you give, but rather, it is the significance behind the season.